We have what you want and More. It has been rumoured since the by gone time that there was a magic lamp that achieves to anybody of the Sahara Nomad caravans his wishes. 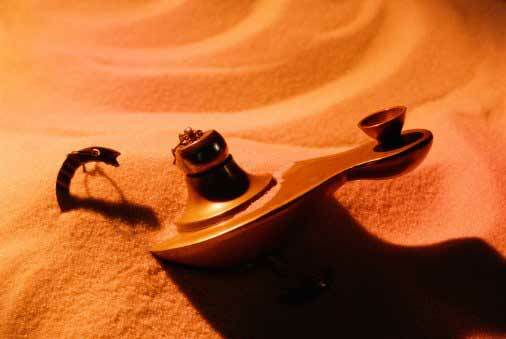 And since the days of ‘’one thousand and one nights’’, the nomad people are transmitting the stories of this magic lamp : they are adventurous and suspense filled tales that enables to explain the traditions, rituals and remove the dust from the forgetful history of the farthest West (Morocco). This generates curiosity of Nomad children and make them flock to sit, along the night, beside their grandmother around a quite fire under a glamorous moonlight and romantic glittering desert stars to translate stories behind thousand of years, live the experience of desert convoys across the desert oases that pierce the sandy golden dunes for the sake of hidden treasures. The grandmothers stories let discover the history and customs of forgotten civilizations, to preview the masterpiece of brilliant architecture and to travel over the Atlas mountains with its picturesque forests. It enabled them as well to focus on the sunny shores and shop in the very ancient markets and sit between the arms of warmth Moroccan families with whom you taste the sweeter meals. The grandmother ends the story and children sleep warmly with the hope for another story of One thousand and one nights and another story of the wonderful lamp.